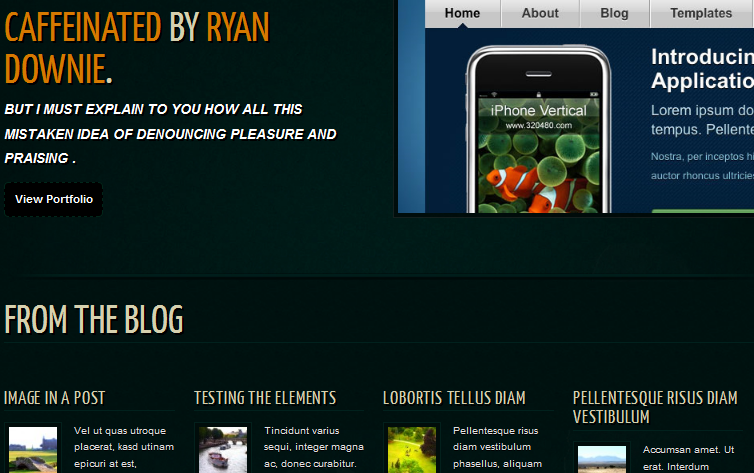 November 18th in Premium Themes, Wordpress Themes for Artists by Wordpress Jedi . So you are interested in photography and arts but have not found a way to bring your work online and share it with the world? There is a theme for that. Caffeinated is an attractive personal portfolio theme that lets you share your artwork and photos with the world in an attractive fashion. It takes advantage of Yanone Kaffesatz font and a dark design to bring a unique experience to your visitors. This theme has a portfolio template that is quite attractive and brings all your works together. Caffeinated does use jQuery and is pretty neat. 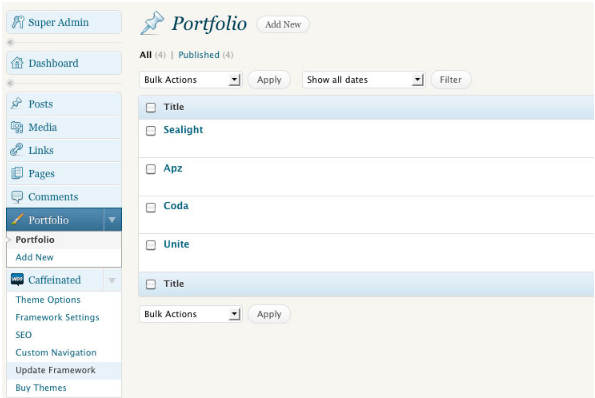 It does take advantage of custom types to give you more flexibility when making changes to your theme. This theme does have 7 color schemes. Since it is built upon Woo Framework, it is easy to customize and supports short-codes. It is search engine friendly too. 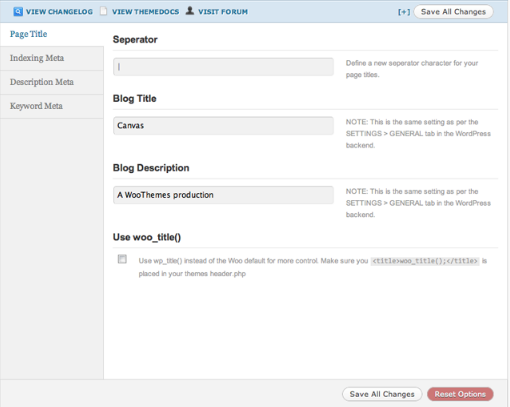 WooThemes products are known for their powerful back-end systems. This theme is no different. Caffeinated does let you add your Twitter updates to your website and has its own custom widgets to make your life easier. This portfolio may have been designed for personal portfolios, but it can surely be used for other purposes as well. It’s pretty good looking and dynamic. If you are an artist looking to bring your work online, Caffeinated can be all you’ll need.